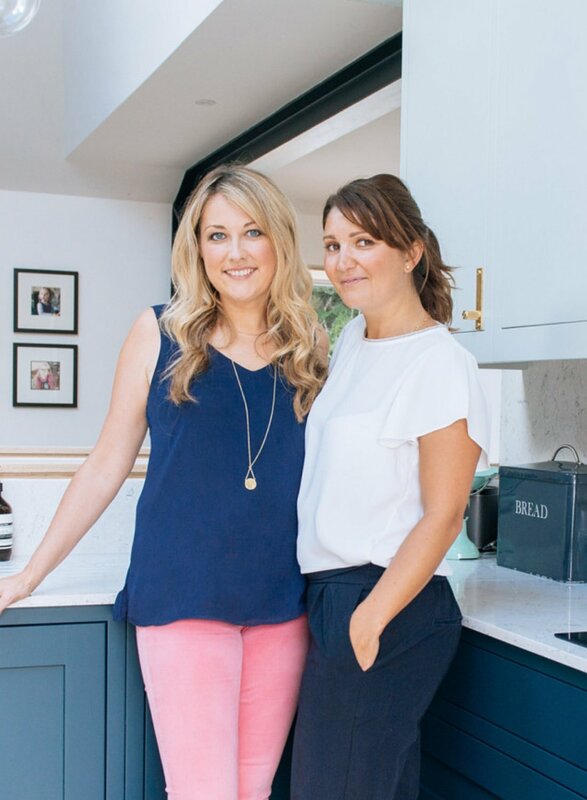 How the desire to create a beautiful first home without breaking the bank, turned into the UK's first and favourite, online interiors company. 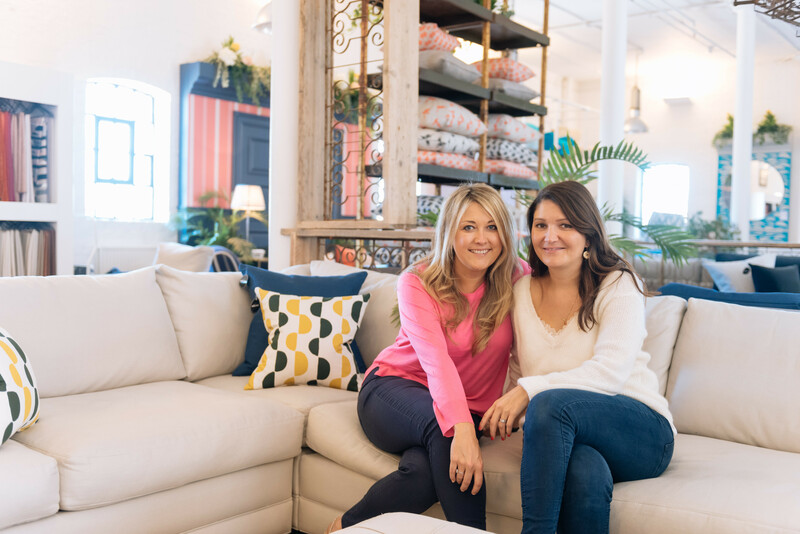 When Diana & Laura started working together at L'Oréal back in 2004, little did they know they would be running a successful tech company 14 years later. Diana and Laura, after launching My Bespoke Room. Diana and Laura both had successful careers working for some amazing brands including Apple, Kiehls, Giorgio Armani, Stella McCartney and Liz Earle. They had different skills that complemented each other. Laura is a product design engineer and Diana comes from brand and marketing. They quickly became firm friends and shared a passion for design (and gin & tonic!). Here, Diana and Laura tell their story, how they came up wit the concept of affordable design and how they built their company. Laura: In 2013, I was going through the pains of buying and renovating my first home and I was struck by how inaccessible and costly the interior design industry was. I turned to Pinterest for inspiration, but quickly because frustrated because I couldn't find the items I saw and loved so much in the photos. It was at that point I saw the gap in the market for an easy, convenient and professional online service, and the idea of My Bespoke Room was born! I reached out to Diana, who has recently gone through the same frustrations of renovating her own home, and we started researching the industry. Diana: We found a huge gap between having to do it all yourself (and hope for the best), and hiring a professional, which was generally perceived for high net-worth individuals. We started doing projects for friends and family to work out how we could build out our idea using technology. 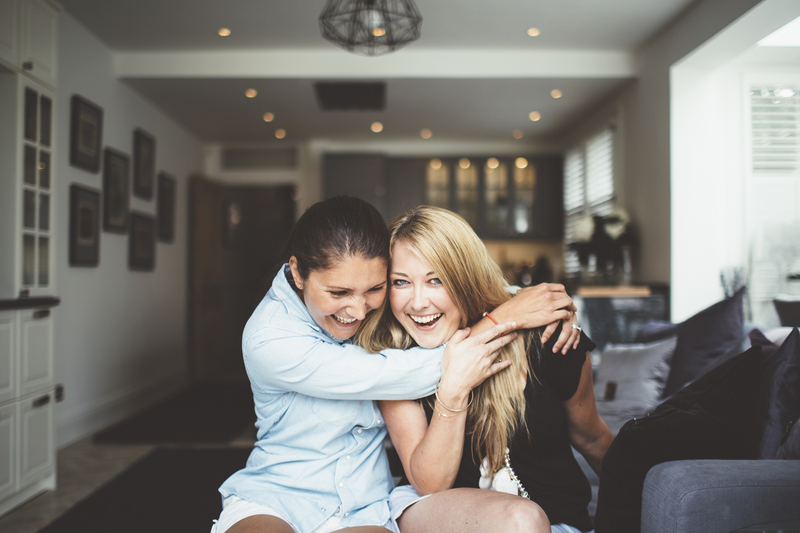 Laura: We travelled the country to find a partner who could build our vision and raised a small amount of money from friends and family to launch our first website in 2014. 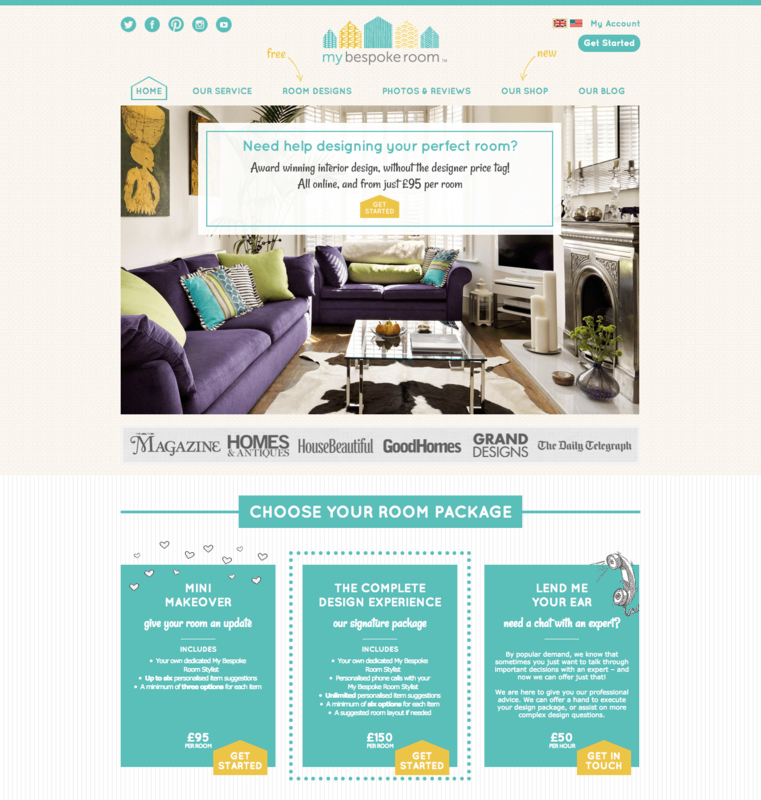 My Bespoke Room's first website and original branding. Diana: At the time, we both had very young children and so our set up was working from each other's homes, literally from the kitchen table. We managed to work around our family lives and were often working well into the early hours of the morning. It helped that we both have a strong work ethic and were extremely passionate about making this idea work. Today, we are all so busy with family, friends and work life and the world has moved more and more online, with the help of social media and so many apps, it just made sense to bring the archaic world of interiors online too! Starting My Bespoke Room, Diana and Laura working from their kitchen table. Laura: For the first three years, Diana and I did everything ourselves. It was an intense period of learning and gathering feedback. We had already reached the Top 10 Interior Designers on Houzz UK, gathered some amazing reviews and even won awards. As we started to grow, the next step was hiring professional and qualified designers to take on the design part of the workload and step the business up a gear. Diana: It was an exciting time to be able to start building out our design team. We were passionate about hiring designers, not only for their qualifications, but also for their loveliness and friendly manner. It was important to us that they personified our brand. It was during this period that we started to take on more and more clients and Laura and I focused on growing the business. Laura: The best part was our very first designers joining My Bespoke Room - they are still with us today! We feel very lucky to have them as part of our wonderful team, and to see how they have developed and grown with the company. 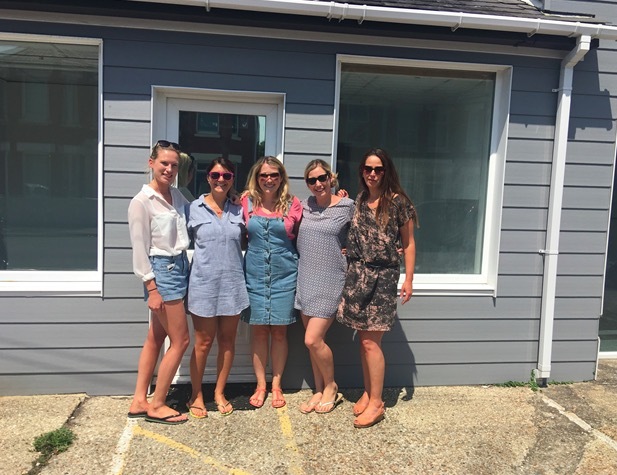 Summer 2017: The small but growing team stood outside My Bespoke Room's first ever office space. Laura: Late in 2016 we had a four-times repeat customer who was a tech entrepreneur and a big fan of our service. She asked to meet with us and was super impressed with what we had built on such a small budget. She encouraged us to go out and raise money to be able to grow and scale, and since has become a good friend and mentor. Diana: It was after this meeting that Laura and I truly realised what we had achieved so far and the potential to grow the company even more. We started to work on our pitch and our deck to be able to go out and meet angel investors. I'm not going to lie, it was a stressful time with highs and lows, lots of knock backs and mixed feedback. Being two female tech entrepreneurs pitching to mainly men, who didn't really know much about our industry, was tough, but we were resilient and persevered. We closed our first investment round in March 2017. 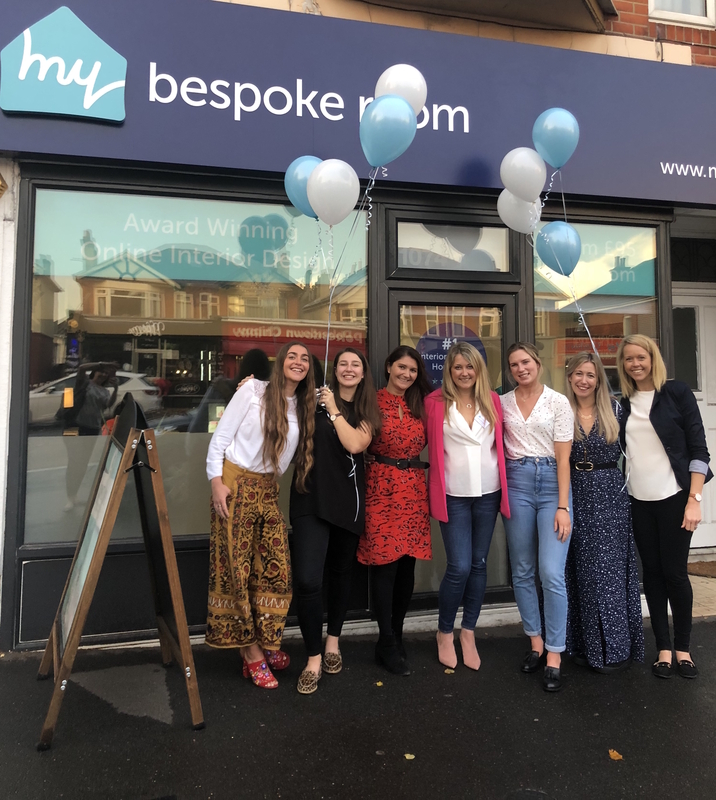 Summer 2018: The My Bespoke Room team was expanding quickly and needed to move to larger premises, this is the MBR HQ team (minus a couple of vital members!) at the new office launch. Laura: Having investors who truly believed in us was a wonderful feeling. We rented our first office space, relaunched our site and hired Lucy as our Head of Interior Design. It was a big role to fill and she has been instrumental in establishing design standards, training and growing the design team. We firmly believe you need to hire excellent people who are, and can be, better than you. That's what makes a truly successful team. Within a year we had outgrown our first office and moved to a larger premises to fit in our new arrivals to HQ! Diana: My Bespoke Room currently has 30 designers who work in our office and across the UK. We recently had our first designer conference which was full of energy and buzz. Our strong designer community is so powerful and many are now friends for life. 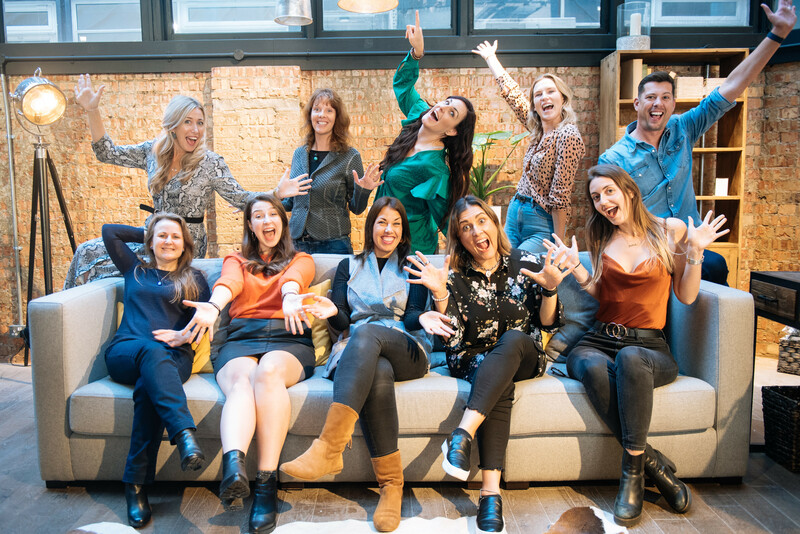 Autumn 2018: Some of our amazing designers at the first My Bespoke Room Designer Conference at Lombok in Tottenham Court Road. Laura: We now rank No. 1 Interior Designer on Houzz UK and are the most reviewed professional on the platform. We are very grateful to all our wonderful customers who have been part of our journey and are happy to share their stories. It means so much to the whole team when we have customers who get in touch after the process, as even though it's online, there's so much human touch that goes into each design. Laura and Diana celebrating My Bespoke Room's successes at Houzz UK. Diana: We've just wrapped up our first big collaboration with Sofa.com, where we launched an exciting 'Meet the Experts' video series with Secret Linen Store, Bloom & Wild, Farrow & Ball and Pooky. We took our most asked questions from our community and interviewed experts to answer these, as well as give their top tips and advice. We look forward to doing more along these lines. Laura and Diana at Sofa.com for filming the 'Meet the Expert' series with Secret Linen Store, Bloom & Wild, Farrow & Ball and Pooky. What's next for My Bespoke Room? 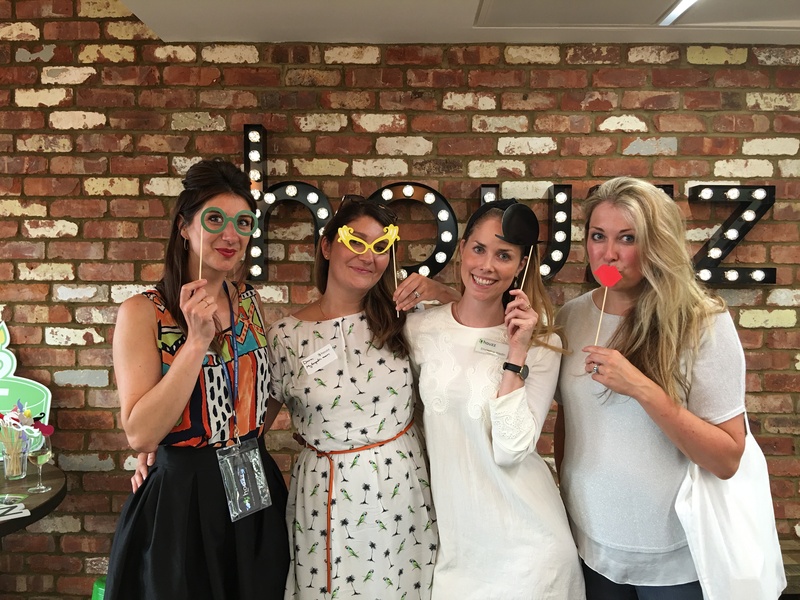 Laura: Being females in business, flexible working is extremely important to us and our teams. We want to continue to champion women in tech and offer more opportunities to designers outside of My Bespoke Room. We recently closed our latest fundraise to develop our platform to help interior designers grow their own businesses, be able to work smarter and earn more. Watch this space! Bespoke furniture: Considering fitted furniture? Here's the inside scoop!